That declaration inspired a young Matthew Morton. When his friends were outside playing, he’d be in his backyard building “cities.” It sparked a career interest in planning and public service. He majored in geography in college and became a local government planner, working his way up to become City Administrator in two cities in Washington State. 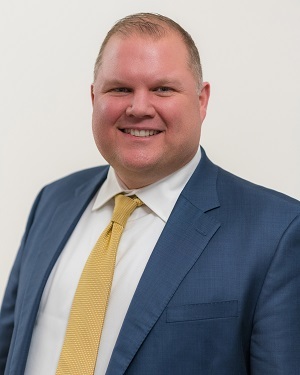 Morton started a new chapter in his career in April 2019, when he became the City of Palm Coast’s new City Manager. In the position, Morton is Palm Coast’s CEO, managing day-to-day operations, putting together a budget for the City Council and implementing the priorities and direction of the City Council. The directors of 10 City departments report to Morton. Morton came to Palm Coast with more than 20 years of experience in local governments. Most recently he served as City Administrator in Duvall, Washington, and prior to that as City Administrator in Cle Elum, Washington. He grew up in Florida, California and Washington, earning his undergraduate degree in geography from Central Washington University. He earned an Executive Master of Public Administration degree from the University of South Dakota. He completed the Harvard Kennedy School’s Senior Executive in State and Local Government program in 2017, and before that attended the Walt Disney Institute to learn the Disney approach for leadership and customer service engagement. He is an ICMA-credentialed manager through the International City/County Management Association and was recognized by ICMA for 20 years of executive service at the organization’s annual conference in 2017. Morton and his wife Wendy have two children. In his free time, he enjoys urban hiking – a perfect fit for Palm Coast’s 130 miles of connecting, tree-lined trails! He values citizen input and engagement as he and his staff help the Palm Coast City Council maintain the community’s exceptional quality of life and achieve its vision for the future. There’s always a new challenge in local government, he said, and he believes in finding solutions in partnership with the stakeholders. The council-manager form of local government combines the strong political leadership of elected officials in the form of a council with the strong managerial experience of an appointed local government manager. Approximately 59 percent of U.S. cities with populations of 25,000 or more, and 47 percent of U.S. cities with populations of 5,000 or more have adopted the council-manager form. The Mayor and City Council members act as the political head of the city. They are responsible for setting policy, approving the budget, determining the tax rate, and formulating broad long-term policies that outline the City's public function. The manager is appointed by council to carry out policy and ensure that the entire community is being served. The manager makes policy recommendations to the council, but the council may or may not adopt them and may modify the recommendations. The manager is bound by whatever action the council takes.